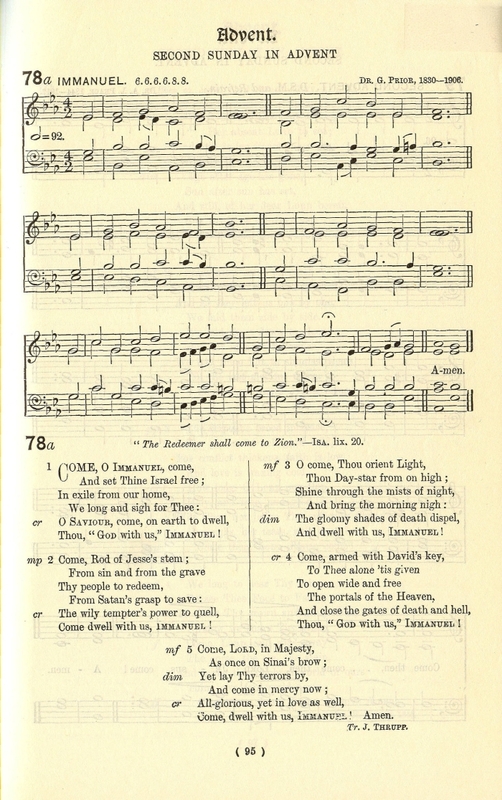 Source: Hugh Blair and Lister R. Peace, eds., Church Hymnal For The Christian Year. London: Novello & Company, Ltd., 1917, #78a, p. 95. Thou, "God with us," Immanuel! Come dwell with us, Immanuel! And dwell with us, Immanuel. Come, dwell with us, Immanuel!